The King’s Royal Rifle Corps , was raised in the American colonies in 1756 as the 62nd (Royal American) Regiment to defend the thirteen colonies against attack by the French and their native American allies. After Braddock’s defeat in 1755, royal approval for a new regiment, as well as funds, were granted by Parliament just before Christmas 1755 – hence the regiment’s traditional birthday of Christmas Day. 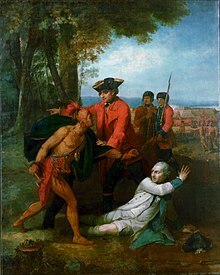 However parliamentary delays meant it was 4th March in 1756 before a special act of parliament created four Battalions of 1,000 men each to include foreigners for service in the Americas. Benjamin West’s depiction of William Johnson sparing Baron Dieskau’s life after the Battle of Lake George. (Reportedly uniforms of soldiers in background right are of the “Royal Americans”). According to a regimental history compiled in 1879 by a captain in the Kings Royal Rifle Corps, in the November of 1755 Parliament voted the sum of 81,000 Pounds for the purpose of raising a regiment of four battalions, each one thousand strong for service in British North America. Parliament approved “An Act to enable His Majesty (George II) to grant commissions to a certain number of foreign Protestants, who have served abroad as officers or engineers, to act and rank as officers or engineers in America only, under certain restrictions and regulations.” The Earl of Loudon, who as Commander-in-Chief of the forces in North America, was appointed Colonal-in-Chief of the regiment. About fifty officers’ commissions were given to Germans and Swiss, and none were allowed to rise above the rank of lieutenant-colonel. According to a modern history of the regiment, the idea for creating this unique force was proposed by Jacques Prevost, a Swiss soldier and adventurer who was a friend of the Duke of Cumberland (William Augustus, who was the King’s second son and was Commander-in Chief of the British Army.) Prevost recognised the need for soldiers who understood forest warfare, unlike the regulars who were brought to America in 1755 by General Braddock. The regiment was intended to combine the characteristics of a colonial corps with those of a foreign legion. Swiss and German forest fighting experts, American colonists and British volunteers from other British regiments were recruited. These men were Protestants, an important consideration for fighting against the predominantly Catholic French. 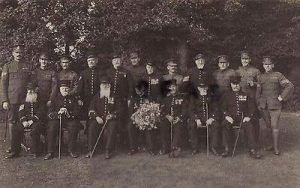 The officers were also recruited from Europe – not from the American colonies – and consisted of English, Scots, Irish, Dutch, Swiss and Germans. It was the first time foreign officers were commissioned at British Army officers. The total regiment consisted of 4,160 enlisted men, 101 officers and 240 non-commissioned officers. The battalions were raised on Governor’s Island, New York. The regiment was renumbered the 60th (Royal American) Regiment in February 1757 when the 50th (Shirley’s) and 51st (Pepperel’s) foot regiments were removed from the British Army roll after their surrender at Fort Oswego. Among the distinguished foreign officers given commissions in the 60th (Royal Americans) was Henri Bouquet, a Swiss citizen, whose ideas on tactics, training and man-management (including the unofficial introduction of the rifle and ‘battle-dress`) would become universal in the British Army some 150 years later. 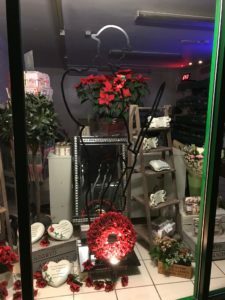 Bouquet was commanding officer of the 1st battalion, and with his fellow battalion commanders, set about creating units that was better suited to warfare in the forests and lakes of northeast America. The Royal Americans represented an attempt to produce a more able soldier who was encouraged to use his initiative while retaining the discipline that was noticeably lacking in the irregular units of colonial Rangers that were being raised at the same time. After the Napoleonic Wars the regiment received a new title: first, in 1815, its name was changed to The Duke of York’s Own Rifle Corps and then, in 1830, to the King’s Royal Rifle Corps (KRRC). In 1858 the Rifle Depot at Winchester was made their headquarters. During the rest of the 1800s the unit was active in China, Canada (Wolsley Expedition), Afghanistan, India, Burma and South Africa. The regiment was deployed during the Second Boer War from the outset playing a key role in the first battle at Talana Hill. In World War I the KRRC was expanded to twenty-two battalion’s and saw much action on the Western Front, Macedonia and Italy. Over 12,000 soldiers of the regiment were killed while eight members won the Victoria Cross and over 2,000 further decorations were awarded. After 1918 the unit returned to garrison duties in India, Palestine and Ireland. In 1922 the regiment was reduced from four to two battalions with the third and fourth being disbanded. In 1926 the regiment was reorganised as one of the first mechanised infantry regiments. In World War II after initial deployment to France as part of the BEF, the regiment lost two battalions at the Defence of Calais (2nd Bn KRRC and 1st Bn the Queen Victoria’s Rifles (TA) where a Green Jacket Brigade held up the German advance to enable the evacuation of the allied armies at Dunkirk. Redeployed to northern Africa the unit began to see success, continuing with actions in Italy, Austria, Germany and in the Battle of Greece and Crete (where its 9th Battalion, The Rangers (TA) , served with 1st Armoured Brigade Group). The 1st Battalion served in the 4th Armoured Brigade that failed to link up with the 1st Parachute Division at the Battle of Arnhem. Post war the unit was deployed in Germany. 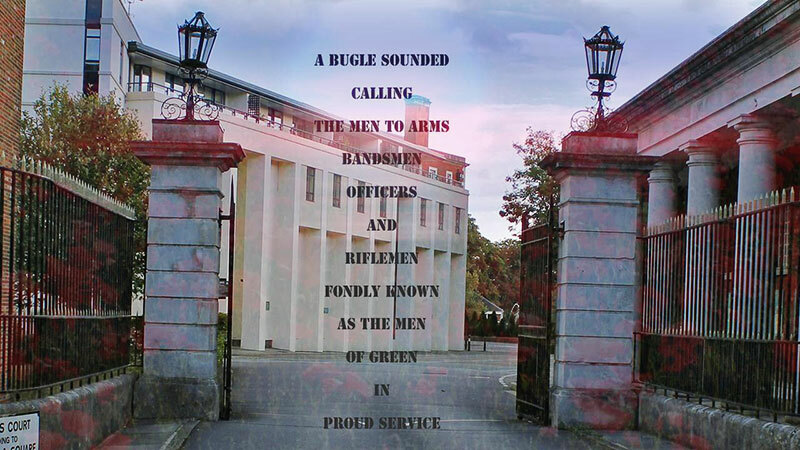 In 1948, for administrative purposes the KRRC was brigaded with Ox and Bucks Light Infantry and the Rifle Brigade to form the Green Jackets Brigade. 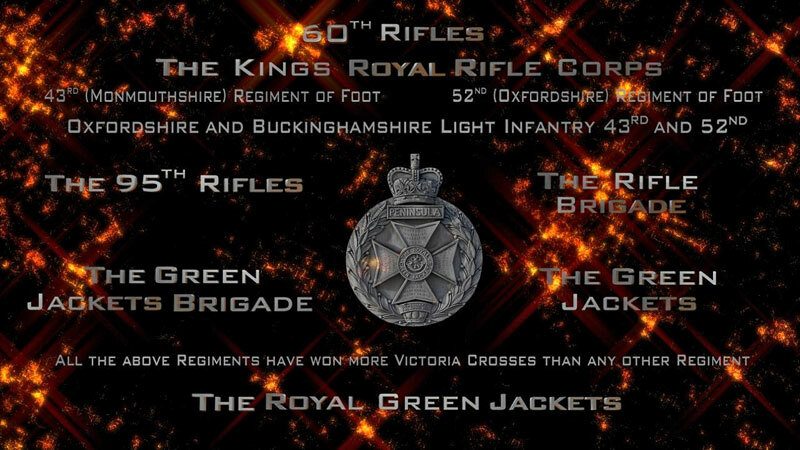 In 1958 the Regiment was re-titled as the 2nd Green Jackets, The King’s Royal Rifle Corps, as were the two other regiments of the Green Jackets Brigade, re-titled 1st and 3rd Green Jackets respectively. In 1966 the three regiments were amalgamated to form the three battalions of the Royal Green Jackts Regiment (RGJ). In 1992 the 1st Battalion, Royal Green Jackets was disbanded, and the KRRC were renumbered as the 1st Battalion, with the 3rd Battalion (former Rifle Brigade) becoming the 2nd Battalion. In 2007, the two-battalion RGJ regiment was amalgamated with the remaining Light Infantry regiments, to form the five Regular and two Territorial battalions of The Rifles. The 1st Cadet Battalion owes its foundation to the Reverend Freeman Wills, who was commissioned into the Volunteer Army in the rank of Captain on the 26th of July 1890. He was also Vicar of St Agatha’s just behind Sun Street, Finsbury Square. On receiving his commission he decided to form a cadet company within the 1st Cadet Battalion, The Royal West Surrey Regiment. The Company quickly expanded to become the 2nd Cadet Battalion, The Royal West Surrey Regiment, at which point he moved the Battalion Headquarters to No. 2 Finsbury Square (and in 1904 to 42 Sun Street, which he had specially built for the purpose). In 1894 he applied to HRH Prince George, Duke of Cambridge, Colonel-in-Chief, to affiliate to the Regiment, with the title of 1st Cadet Battalion, The King’s Royal Rifle Corps. Consent was granted on the 8th of November 1894 and the Battalion has remained a part of the Regiment ever since. The 2nd Cadet Battalion, The King’s Royal Rifle Corps was formed in 1942 when a Home Guard instruction was issued ordering each Home Guard battalion to raise a cadet unit. Lieutenant-Colonel R.L. Clark of Queen Victoria’s Rifles was given the task and on the 15th of May the Queen Victoria’s Rifles Cadet Corps was born. 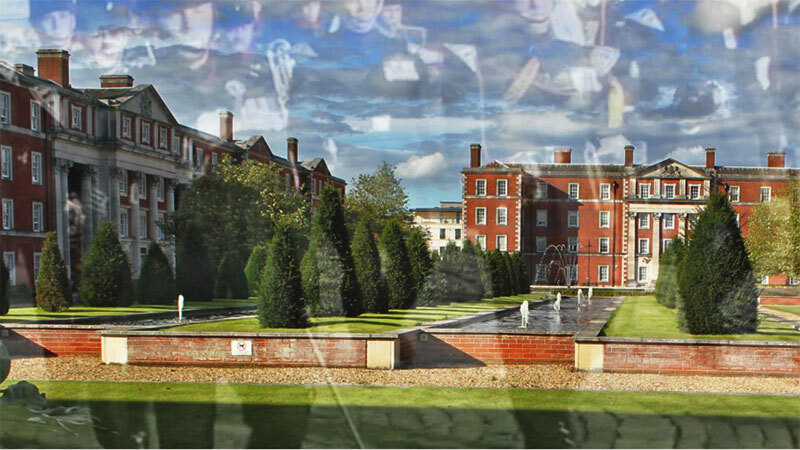 Over the next three years the unit expanded to five companies, which in April 1945 led to it being re-titled the 2nd Cadet Battalion, The King’s Royal Rifle Corps. In 1951 the 1st and 2nd Cadet Battalion were amalgamated. This resulted in the disposal of the Headquarters of the 1st Cadet Battalion at 42 Sun Street. In 1954 the Battalion office of the ‘new’ 1st Cadet Battalion was established at 56 Davies Street, where it remains to this day. D Company, 234 KRRC (Putney) RGJ ACF; until recently when they formed the London Oratory School RGJ ACF unit (now CCF), although they were rebadged as Irish Guards in 2010 (making them the last remaining RGJ unit).